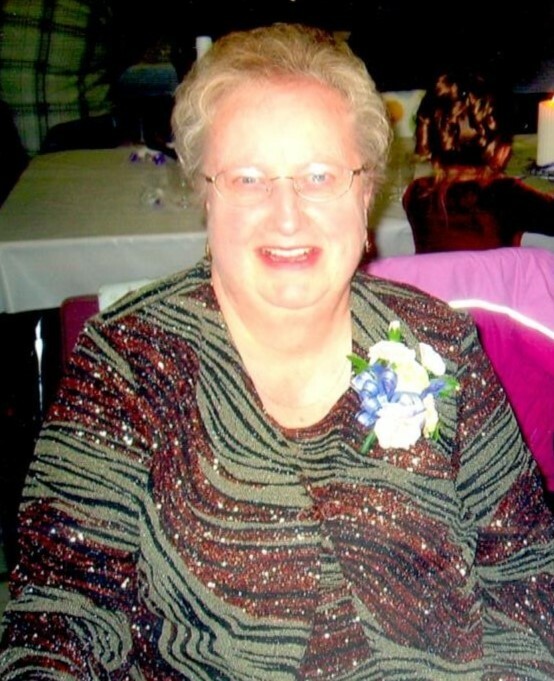 The family of Norma Jean Gampe are heartbroken to announce that she passed away suddenly on January 28, 2019 at her home in Shellbrook at the age of 70. Norma was born in Prince Albert, SK, on June 4, 1948 to Stanley and Janetta Horricks. She was the second of 4 children. Norma grew up in Shellbrook and attended Hazel Ridge School until grade 5 then was bussed to Shellbrook School until 1968 when she graduated her grade 12. In November 9, 1968 she married Arthur Gampe and moved to the family farm in the Silver Grove District. They have 3 children, Bradley (Angela) Gampe of Cudworth, SK, and their children, Bradley Jr, Cody, Austin and Joshua Gampe; Karen (Ken) Trischuk of Cudworth, SK, and their children Makayla and Brayden Trischuk; and Kevin Gampe of Cudworth, SK, and his children, Colby, Kaitlynn, and Nicolas Gampe; her siblings, Marie Trueman of Shellbrook SK, Gordon (Lana) Horricks of Shellbrook, SK, and Heather (Troy) Anderson of Saskatoon, SK. Norma was predeceased by her parents, Stanley and Janetta Horricks; her mother and father-in-law, Ewald and Anna Gampe; and her brother-in-law’s, Norman Trueman, George Staus, Walter Gampe, and Harry Gampe. Norma will be remembered most of all for always being there for her children and grandchildren. At the drop of a hat she would always be there to lend a helping hand to anyone that knew her. Norma enjoyed her gardening, reading, her bell collection, playing her weekly canasta games and belonging to the Shellbrook Health Care Auxiliary as the secretary. The Funeral Service for Norma will be held on Saturday, February 2, 2019 at 1:00 p.m. from the Shellbrook Seniors Centre with Susan Sorensen officiating. Norma will be laid to rest in the Silver Grove Cemetery following the luncheon. Those wishing to make a donation in memory of Norma may consider either the Shellbrook Health Care Auxiliary (Box 576 Shellbrook, SK S0J 2E0) or to the Heart & Stroke Foundation. Family and friends wishing to send online condolences are welcome to visit www.beaulacfuneralhome.com Arrangements have been entrusted to the care of Beau “Lac” Funeral Home, Tammy Smart & Samantha Cheal – Director (Shellbrook 306-747-2828).